MAPLEWOOD, NJ -- Hundreds of people have turned out to welcome home an Olympic medalist who was the first U.S. athlete to compete while wearing a hijab. The people of Maplewood, New Jersey, held a parade and a special ceremony Saturday for fencer Ibtihaj Muhammad. The 31-year-old won a bronze medal in the women's team sabre event at the games held in Rio. 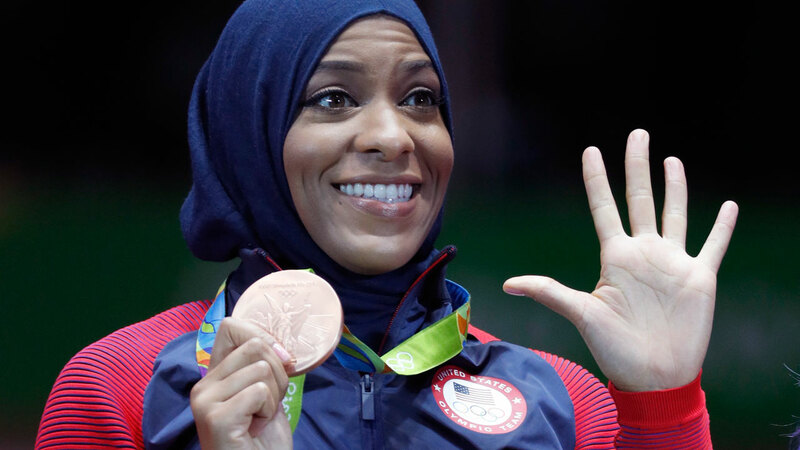 A Muslim, Muhammad was the first U.S. athlete to compete in the Olympics while wearing a hijab, the head scarf she wears in accordance with her beliefs. Wearing a U.S. Olympics team T-shirt and her bronze medal around her neck, Muhammad told the crowd she hoped to serve as an example to people who feel limited by some aspect of who they are.